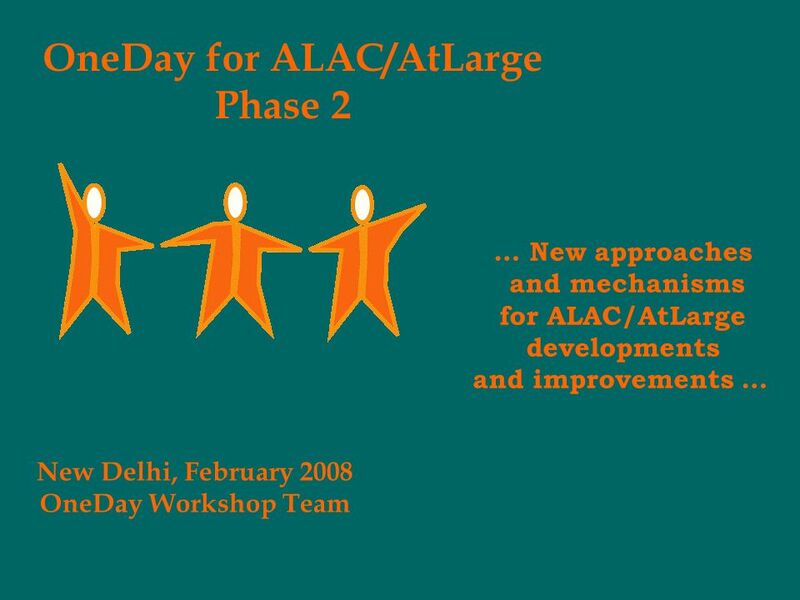 OneDay for ALAC/AtLarge Phase 2 New Delhi, February 2008 OneDay Workshop Team … New approaches and mechanisms for ALAC/AtLarge developments and improvements. 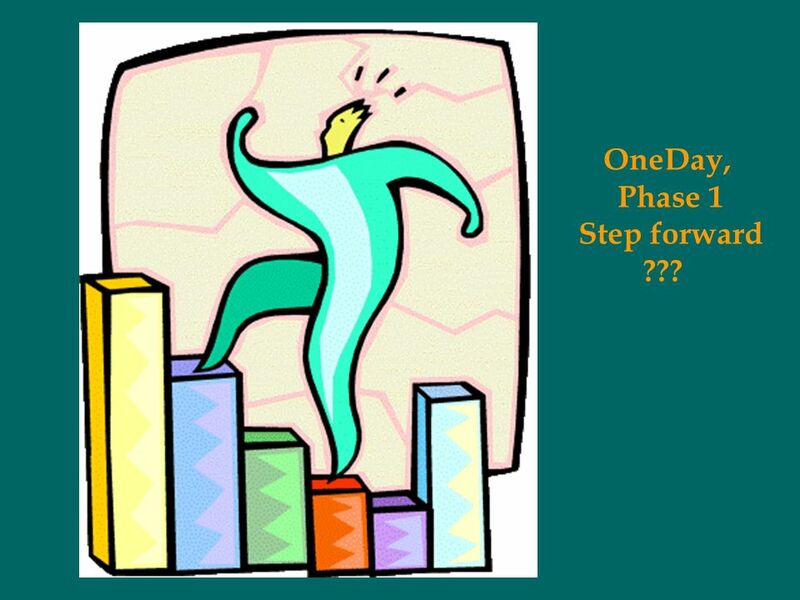 3 OneDay, Phase 1 Step forward ??? 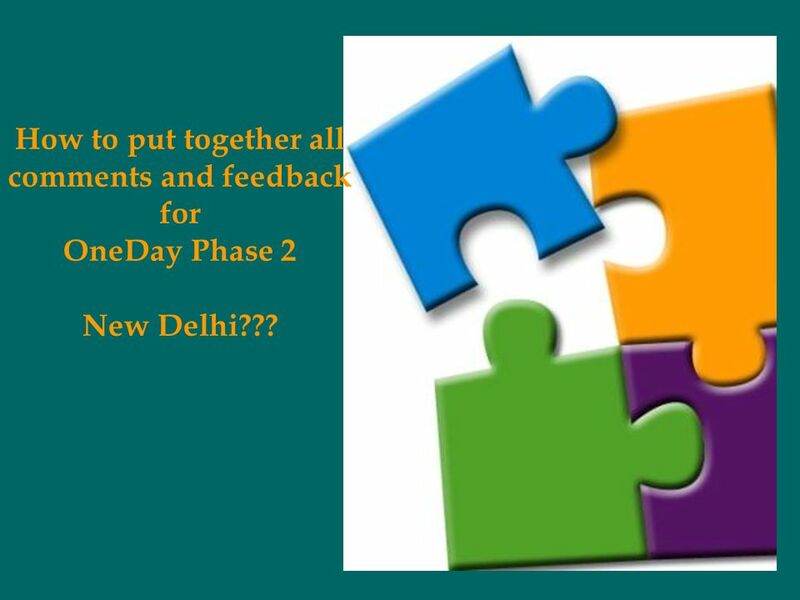 5 How to put together all comments and feedback for OneDay Phase 2 New Delhi??? 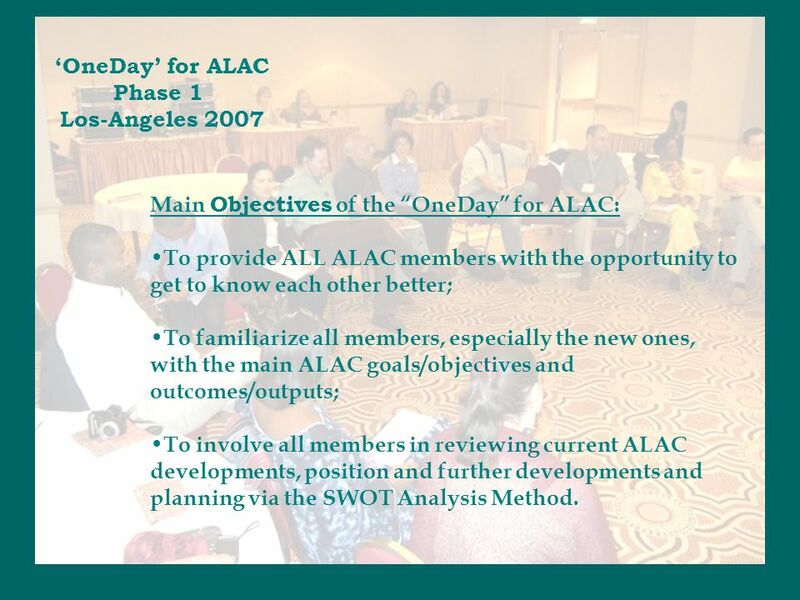 6 OBJECTIVES … Main Objectives of the OneDay for ALAC: To involve all ALAC/AtLarge and RALOs Secretariats in reviewing our new work flow practices as well as current ALAC Working Groups developments; To plan the activities for the 2008 per each current Working Group. 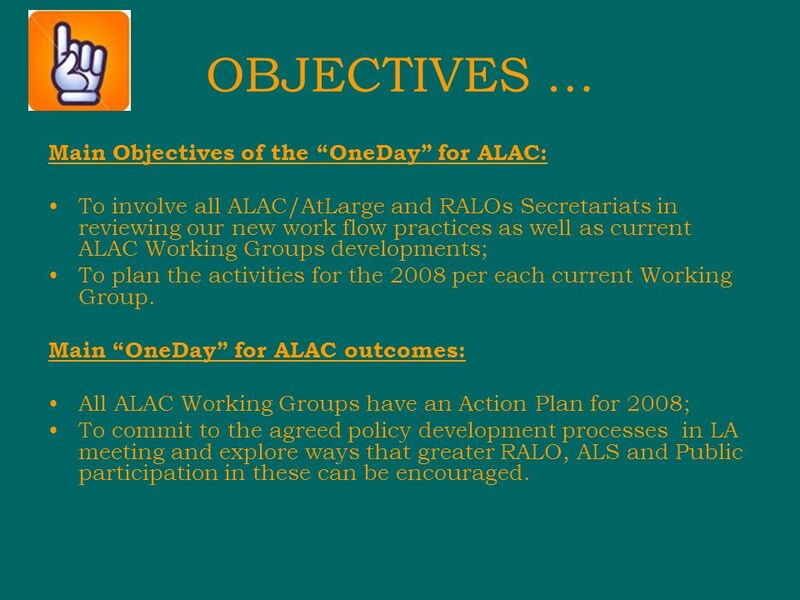 Main OneDay for ALAC outcomes: All ALAC Working Groups have an Action Plan for 2008; To commit to the agreed policy development processes in LA meeting and explore ways that greater RALO, ALS and Public participation in these can be encouraged. 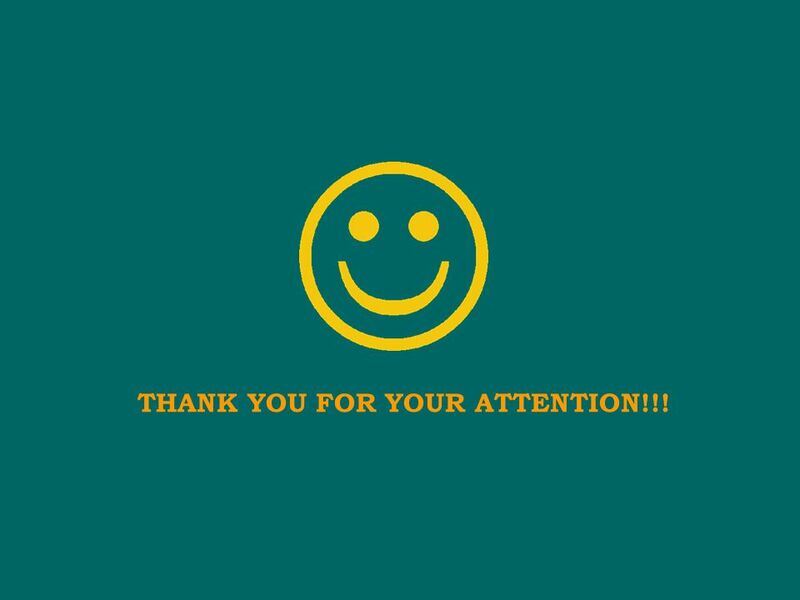 9 THANK YOU FOR YOUR ATTENTION!!! 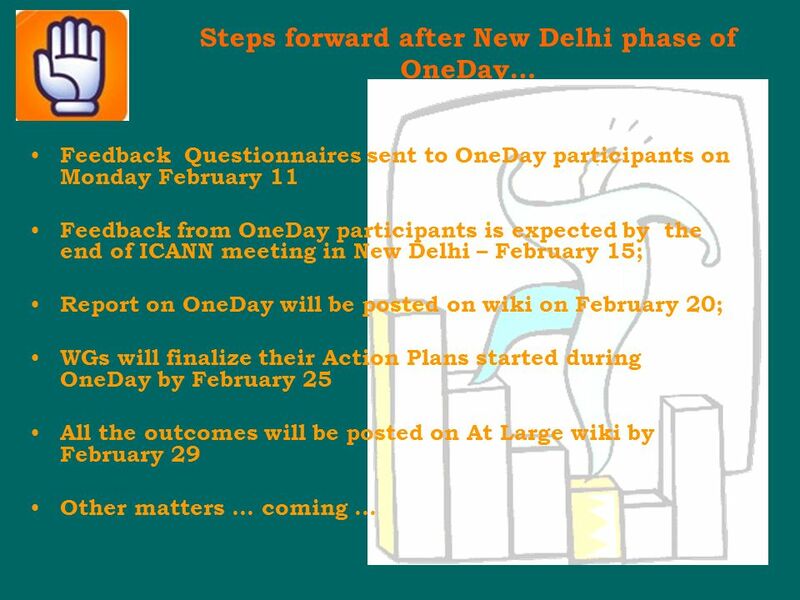 Download ppt "OneDay for ALAC/AtLarge Phase 2 New Delhi, February 2008 OneDay Workshop Team … New approaches and mechanisms for ALAC/AtLarge developments and improvements." Proposals for Improvements to the RAA June 21, 2010. At- Large Advisory Commitee ICANN Marrakech June 2006. At-Large Advisory Committee. Remember Us? 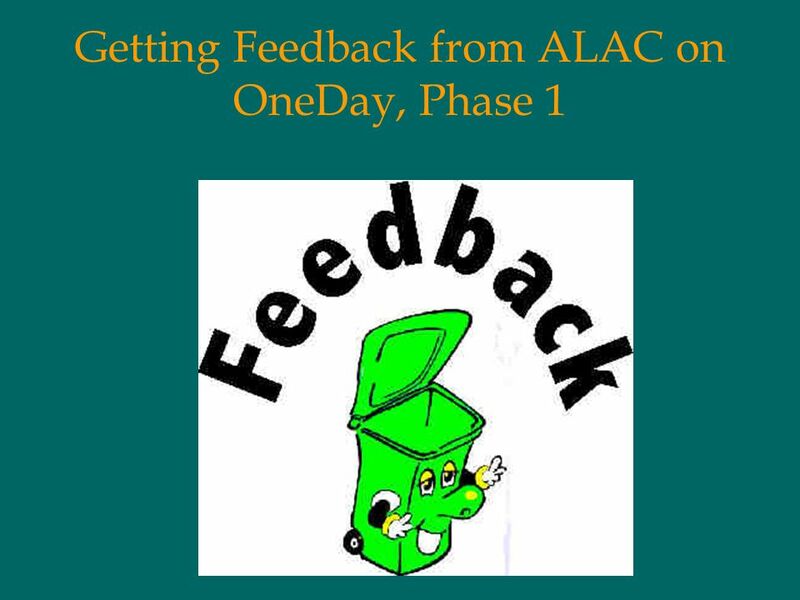 The role of the At-Large Advisory Committee ("ALAC") shall be to consider and provide advice on the activities. 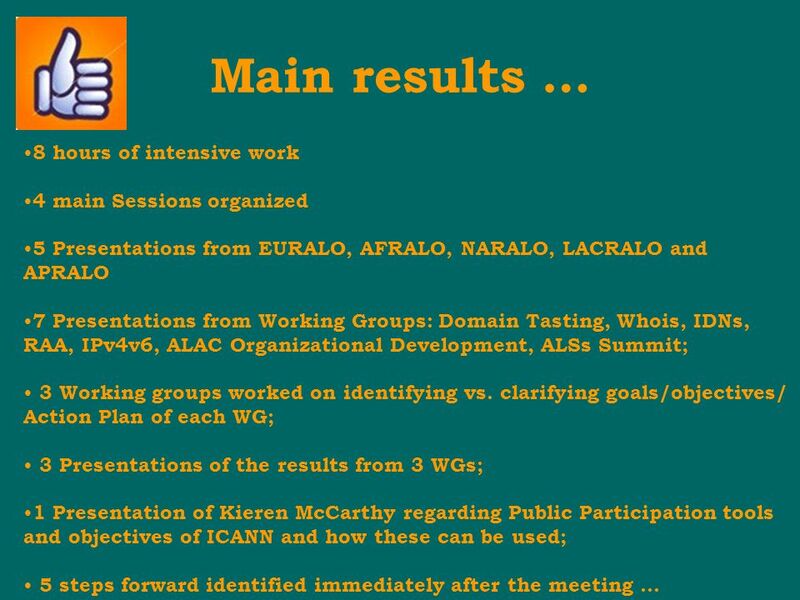 Report from the Chair of the At-Large Advisory Committee to the 41 st ICANN Meeting Dr. Olivier Crépin-Leblond 24 June 2011. ICANN MEETING NO. 38 | JUNE 2010 ALSes Survey Analysis Preliminary results ALSes Survey June 2010 RALO. Members: Tijani Ben Jemaa (Co-Chair) - AFRALO Dave Kissoondoyal - AFRALO Shaarawy Abd Elbaky - AFRALO Fouad Bajwa - APRALO Cheryl Langdon-Orr - APRALO. ALAC WG on IPv4v6 Feb New Delhi. Goal To give a clear picture of the IPv4 depletion and the IPv6 migration issues to the end user To give a clear. By Fouad Bajwa Co-Vice Chair APRALO ICANNs At-Large (individual Internet user community) for the Asian-Australian-Pacific Region. BPS / NERC TLR Drafting Team Subcommittee Update November 2007 – January 2008 February 5, 2008.